For almost 50 years, All-Fill has been the leading manufacturer of filling, bagging and checkweighing equipment. All-Fill continues to combine our engineering knowledge with the experiences of our technical specialists to achieve an optimized packaging solution for our customers. For 25 years, Flair has provided packaging engineered to protect your blend and designed to promote your brand. Technology that stands up to anything, convenience features and imagery that stand out from everything, Flair delivers resources beyond expectation, results beyond packaging. 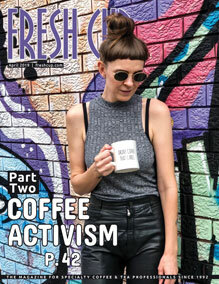 Jacky provides a food grade solution to green coffee storage and dispensing. No need to bend and scoop. FDA compliant. 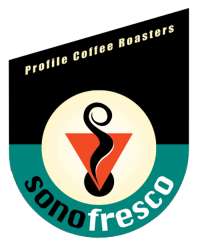 Home of advanced coffee roasters, premium unroasted green coffee beans, roasting accessories and affordable tools to launch a home or commercial coffee business, Sonofresco is an innovative manufacturer of commercial coffee roasters based in Burlington, Washington. US Roaster Corp builds and designs Roasting and Support Equipment from sample roaster to 300 Kilo Production models. Grinders, Destoners, Loaders, Silos, Green cleaners, Complete Plants.